Barcelona vs Man United is easily the most high profile clash this week in the Champions League and almost everyone is hoping to see Ernesto Valverde’s side go through to the semi-finals. But given the heroics of their previous Champions League encounter, we are not really bold enough to write off Manchester United until the final whistle is blown. Luke Shaw is suspended for the second leg after picking up a yellow card at Old Trafford but the left-back has travelled with the Man United squad. Fred and McTominay were superb in midfield for Man United and both of them together absolutely dominated their Barcelona counterparts so clearly Solskjaer will once again hand the duo starts at the Camp Nou. Victor Lindelof was rested during Man United’s 2-1 win over Barcelona in the Premier League on Saturday but the centre-back will reprise his role alongside Chris Smalling on Tuesday. Ousmane Dembele remained an unused substitute during the first leg but the Frenchman is expected to return to the starting XI as Philippe Coutinho makes way for him. Arturo Vidal came off the bench at Old Trafford but he will likely be handed a start in place of Arthur. Read: 4-3-3 Barcelona’s predicted line up vs Manchester United. Read: Will Solskjaer make a surprise inclusion to his starting XI vs Barcelona? 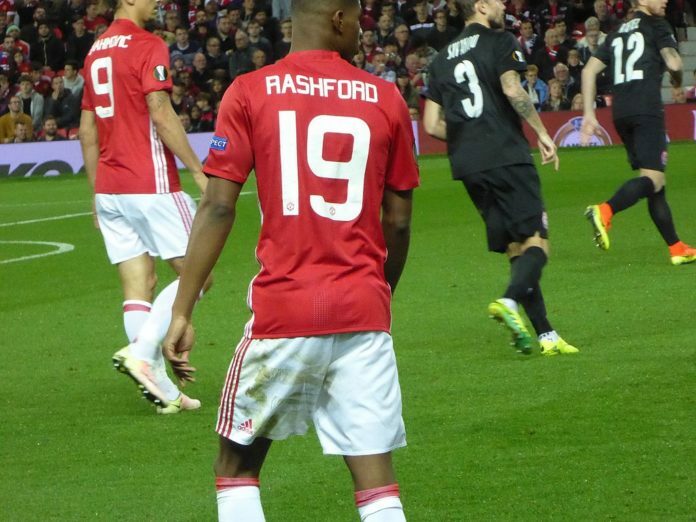 Read: Man United’s predicted line up vs Barcelona.